We will provide you with a free and non-binding quotation right away! Get in touch with our 24/7 customer support centre at 020 3746 1366 or via our contact form on our website. We clean all kinds of rugs and carpets and our services are suitable for domestic and commercial properties as well. 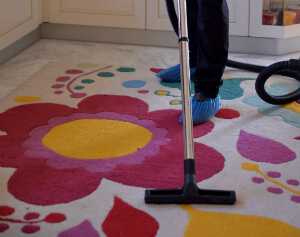 Ever since 2005, Ashlee House Cleaning has been performing professional deep carpet cleaning, including: dry foam carpet cleaning, steam carpet cleaning and carpet stain and spot removal in the entire Camden Lock NW1. We hire all of our cleaners based on recommendations from trusted source. They are all trained, carefully vetted and constantly monitored for compliance to all of our quality and safety procedures, as well as for following our detailed professional cleaning checklists. We use the most efficient carpet cleaning methods to ensure that your carpets and rugs are properly sanitised, the dust mites are killed and removed and that all the dirt and residues are gone, while at the same time - the carpet remains undamaged and safe. Every carpet cleaning starts with an assessment, testing of the detergents and hoovering. Only after that our professional carpet cleaner will proceed to deep clean the carpet. When steam carpet cleaning is performed, the cleaners use a professional hot water extraction cleaning machine. This method is good for resilient fibres. For more delicate carpet and rug materials, we recommend dry carpet cleaning in Camden Lock. Our cleaners use special instruments to apply and embed special dry cleaning powder in the fibres of the carpet. The dry cleaning solution is left to stay there for some time and then it is removed with a powerful vacuum cleaner. Together with it, any dirt and dust are removed. Our deep carpet cleaning is suitable for both synthetic or natural carpet fibres. Since we first started delivering a carpet cleaning service to all people and businesses in the area, we have been constantly focusing on enhancing our performance so as to reach our goal of having 100% happy customers. We carefully choose all our carpet cleaners in Camden Lock NW1, check their background and then train them. Ashlee House Cleaning is the favoured professional cleaning services provider in the area because we use only modern and harmless cleaning equipment, and eco-friendly detergents for fibre protection, stain removal and deep cleaning. We can get all types of carpeting cleaned efficiently and at a very reasonable, fixed price. If you want your favourite carpet allergen-free, deep cleaned and looking beautiful once again, call us now! We are the recognised carpet cleaning experts in Camden Lock NW1 mainly because of our easy booking procedure, the quality of our services and the good prices we offer. All you need to do is contact the customer support staff at 020 3746 1366 or online via the website. Book our service for any day of the year. We offer convenient weekend and public holiday cleaning. We can come for an emergency cleaning on the same day, but the earlier ahead you make your order, the better price you will receive. Preferential prices are offered to all our regular clients, as well as to the local landlords and estate agencies. Enjoy our top quality service and amazing prices and deals and book us now!